The Elizabeth Dee gallery in Harlem, NY is currently presenting “With the eyes of others, Hungarian Artists of the Sixties and Seventies”. The exhibition is curated by András Szántó. The works in this show are not that well known in the United States, but are an important part of twentieth century (art) history. These artists worked under a repressive regime and had to find ways to express their opposition through subtle means. 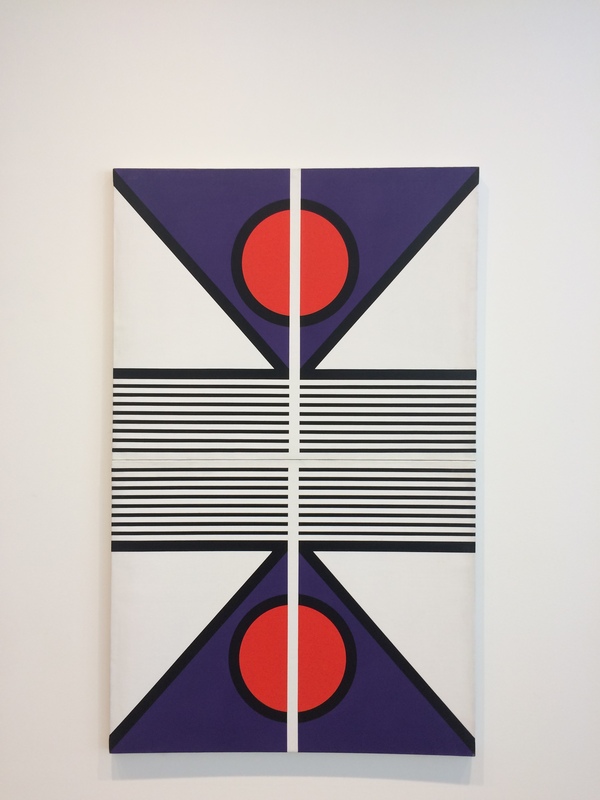 Making geometric abstract work was a way to show a connection to Western artist like Frank Stella and Al Held with out overt political connections. Károly Halász’ “Radial Enamel I-IV” consists of four square enameled iron plates. 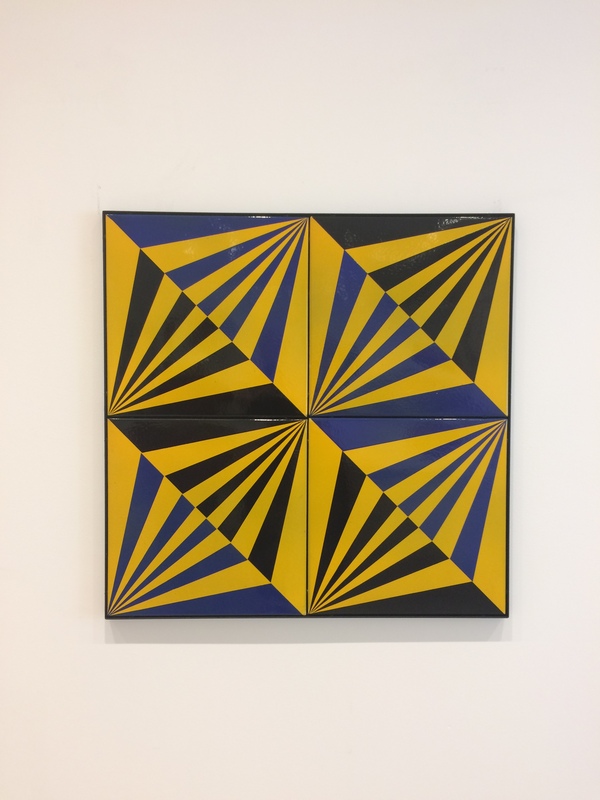 Using only bright yellow, dark blue and black to create tension between the narrow acute triangles, radiating from diagonal corners of the squares. The lines of symmetry in this work are a bit tricky. At first glance you think they would run from upper left corner to lower right corner, because of the lines created by the bases of the triangles along the diagonals. But, because of the alternating dark and bright colors, this is not the case. Instead, the lines of reflective symmetry are the four diagonals running from the upper right corner to the lower left corner of each individual square, as well as the same diagonal for the work in its entirety. 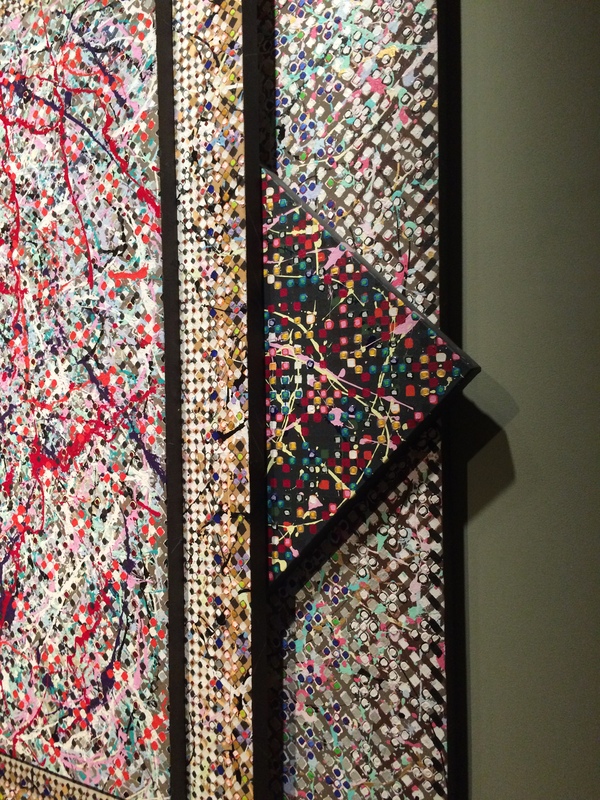 The Cross Contemporary Art Gallery’s current presentation features the work of four artists that all incorporate unique color usage. 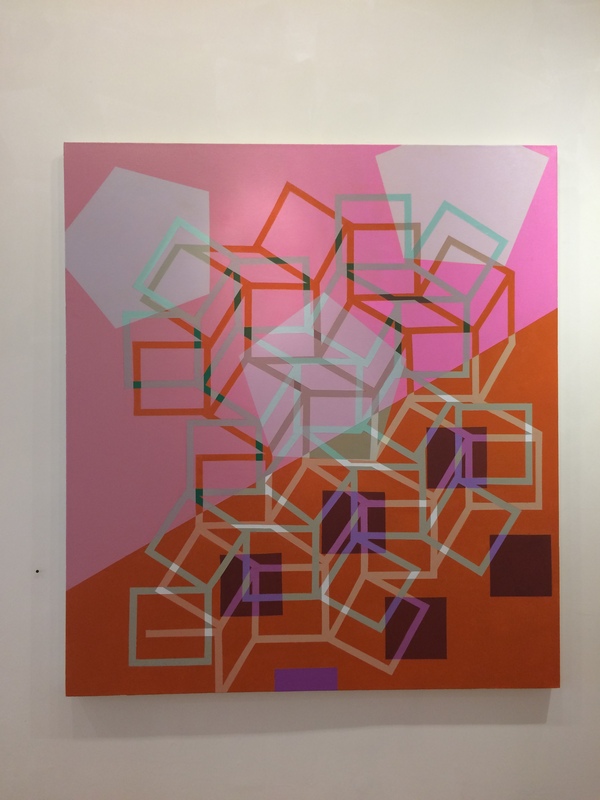 The Paintings of Jeanette Fintz also address the unfolding of 3-D geometric forms depicted on a 2-D plane. In Fintz’s large scale canvas “Matrix, The Cold Pink”, a construction of cubes is unfolding in front of a background of squares and pentagons. “Tumble 3”, a painting on wood panel, depicts accordion-folded strips. It is the artist’s selection of colors that gives the appearance of dimensionality. There is no use of shading. Each rhombus is painted in a solid color. 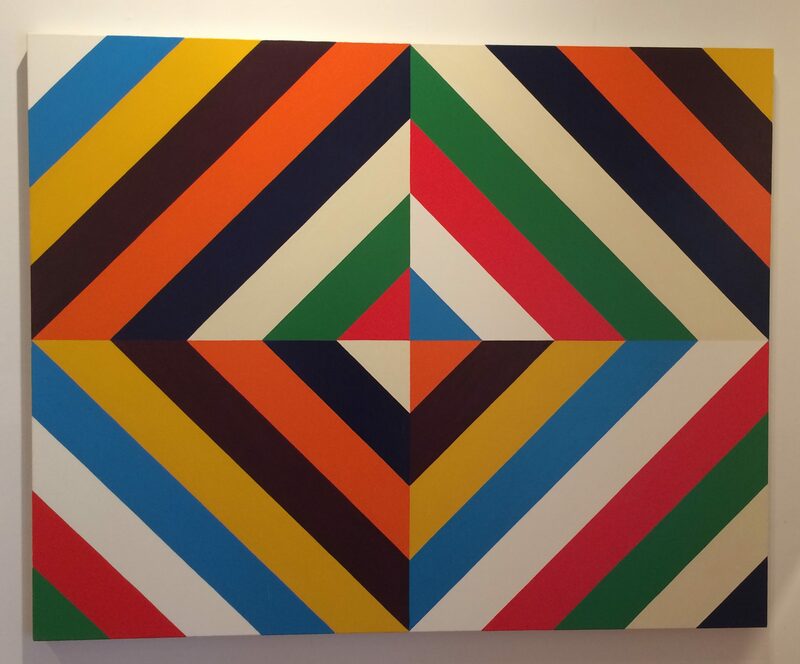 The geometry in Fintz’s paintings pops and hums off the plane. Combining carefully rendered hard-edge lines and shapes with powerful and unexpected colors this work produces a dynamic presence in the gallery. 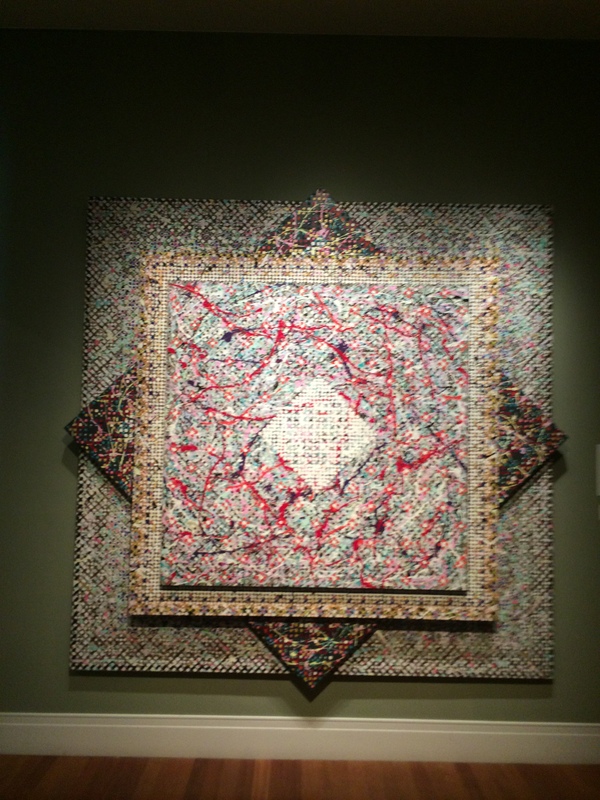 The Kleinart/James Center for the Arts at the Byrdcliffe Guild in Woodstock, NY is currently presenting the exhibition “The Ritual of Construction. 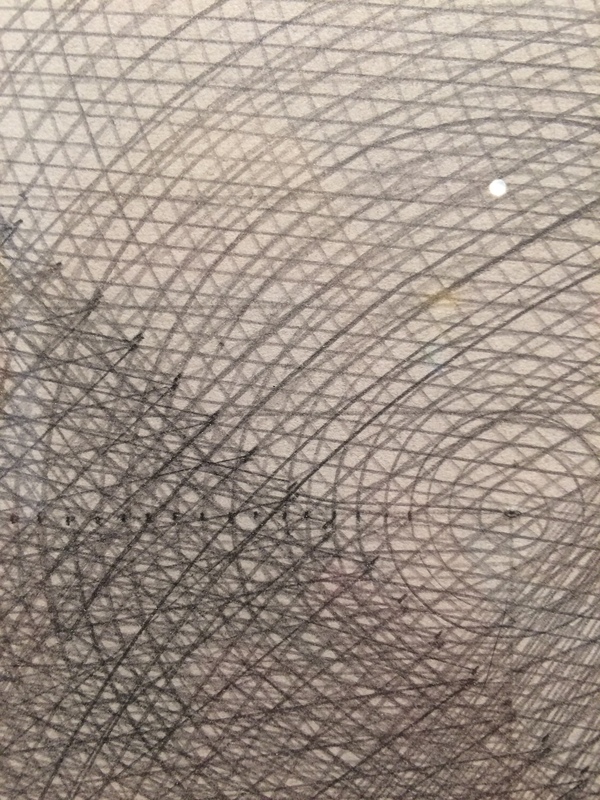 Curated by Jeanette Fintz, the show features work that has a foundation in geometry. Basic mathematical structures like circles, squares, and other polygons have been elevated through ritualistic repetition. 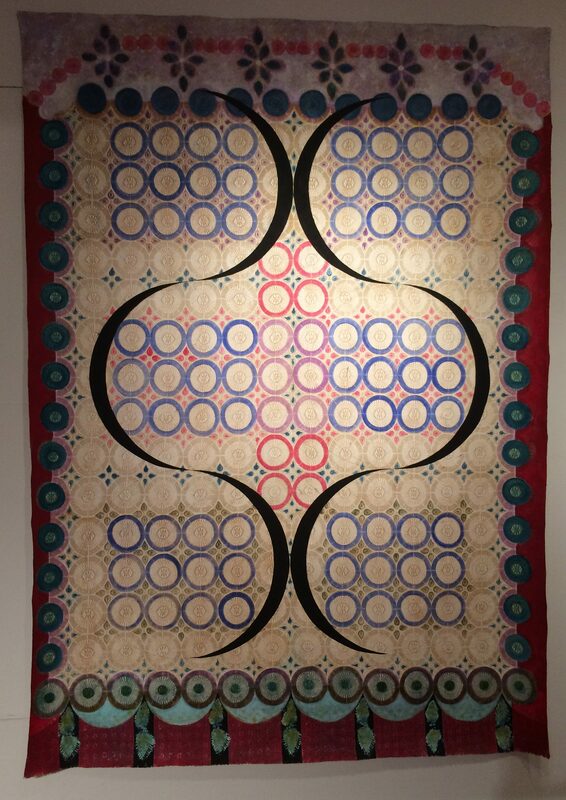 This large unstretched canvas by Benigna Chilla features a grid of circles segmented into squares and rectangles through the use of subtle coloration. An overlying pattern of six crescents incorporate a reflective symmetry. Chilla’s banner-like paintings have the spirit of devotional and meditative mandalas. Stephen Westfall’s painting “Live for Tomorrow” is a colorful feast of reflective symmetry. The hard edge bands cutting diagonally across the four rectangles form a central square. 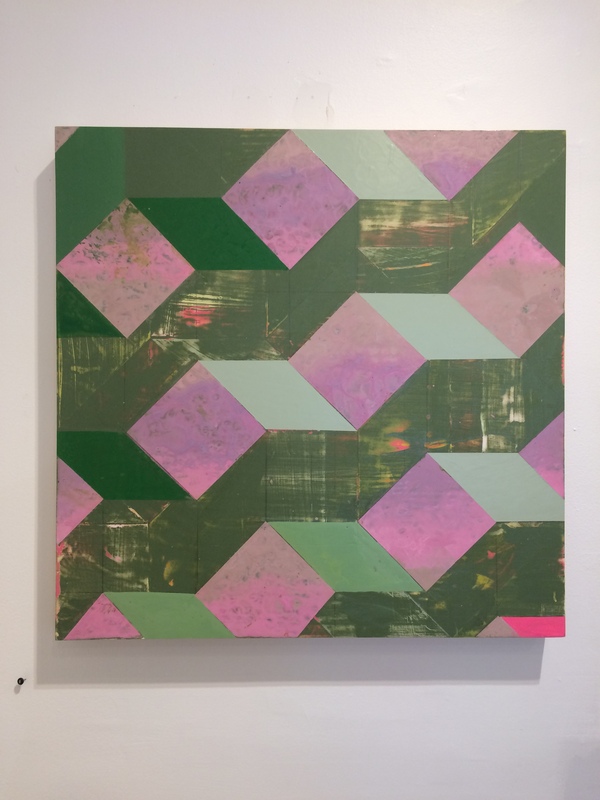 Part of the interior section of the painting features order-4 rotational symmetry, but Westfall’s use of rectangles does not allow this to carry through the entire structure of the work, creating a kinetic pulse of color. I should probably mention that Stephen Westfall was my professor of Art Theory when I was in graduate school and I have always admired his work. 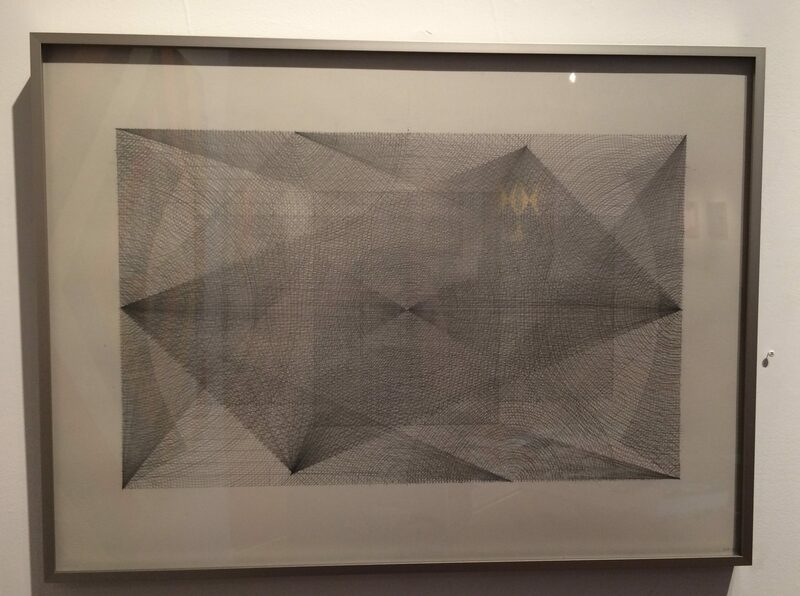 I am always happy to see an art show with a geometric intention. This diverse presentation goes a step further and asks us to go beyond the mathematical logic and think about geometry as a spiritual experience.